It was a sweltering day in August of 2011. And those hot indoor studio lights didn't help. 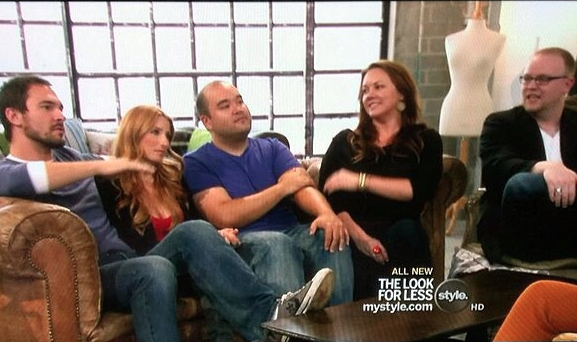 But these awesome folks and I squeezed onto a couch and managed to get through a taping of The Look For Less to help a friend out. From left to right: actor-director (and former producing partner) Michael Medico, stylist Meg Titus, yours truly, S Factor manager (and fellow Cumberbitch) Stephanie Gradski, and Paul Mitchell events director Greg Bonhomme.